Tokyo is an amazing big city that is filled with so many things to do that it can be overwhelming for a first time visitor. However, if you give Tokyo a chance, you’ll be able to find a sense of serenity hidden beneath the fast-paced Tokyo lifestyle. A great Asian city, Tokyo has so much to offer from cultural delights to heady nightlife and peaceful temples. If you decide to catch flights to Tokyo in the Spring, there is the added bonus of partying with all the locals under the blossoming cherry trees. Tokyo is a city that looks into the future, at the forefront of ever-changing technology, yet still managing to retain a link with its long past. This is the mix that is sure to fascinate visitors who arrive on flights to Tokyo for the first time or even the fifth time. There is always something new to discover, no matter how many flights to Tokyo you take. Major Airlines: Cathay Pacific, Dragonair, Hong Kong Airlines, ANA, Hong Kong Express, China Airlines, China Eastern among others. Must Gos in Tokyo: Imperial Palace, the Meiji Shrine and the temples of Asakusa, Tokyo Tower, the Tokyo Metropolitan Government Building, the Rainbow Bridge or the World Trade Center Building. Tokyo is a shopper’s paradise; everything and anything is for sale here. If you’re looking for anime and manga, visit Akihabara. Antiques can be found in the Antique Mall in Ginza or the Antique Mall in Omotesando. 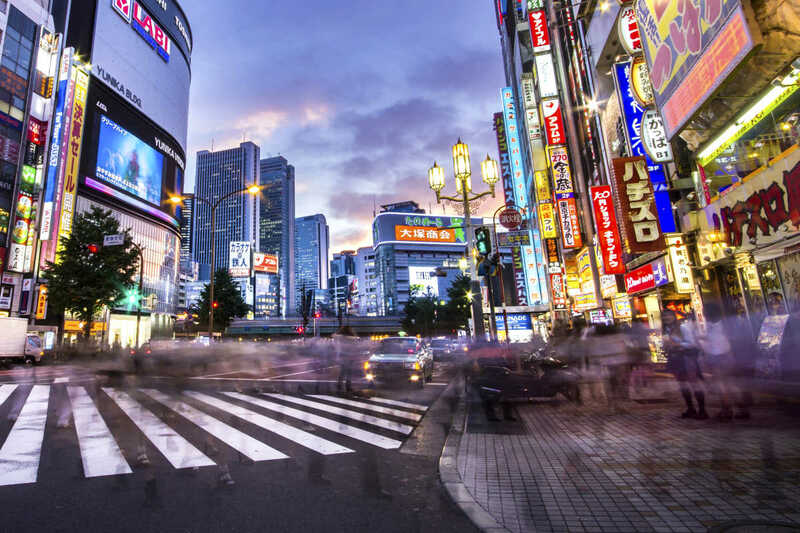 Akihabara and Shinjuku have lots of camera and electronics stores, and if you want the latest in fashion, Shibuya and Harajuku are the places to be. Tokyo has the most Michelin starred restaurants in the world, so get ready to eat some fantastic food. It’s always easy to find flights to Tokyo on Vayama.com, so book yours today and get ready for an amazing Tokyo vacation.